Welcome to VESICA, a reimagined concept in travel. 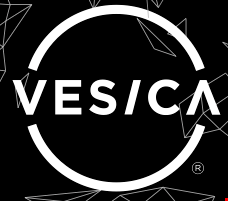 Born from a love for experience and adventure, VESICA has methodically combined technology with consumer travel goods to truly change the way the world moves. Having watched many attempt to navigate the “smart-luggage” landscape, only to fall victim to ever-changing FAA regulations, the team at VESICA saw a need for a smarter luggage company that fits within the consumer landscape by offering a feature-rich product while marrying an app-based integration that will “gamify” travel like never before. We invite you to explore the VESICA platform. If you believe the consumers of your media would enjoy hearing our story, we’re happy to speak with you and offer product samples as well. Scotty Upshall. St Louis Blues. "I love the bag. it's putting my Rimowa to the test."